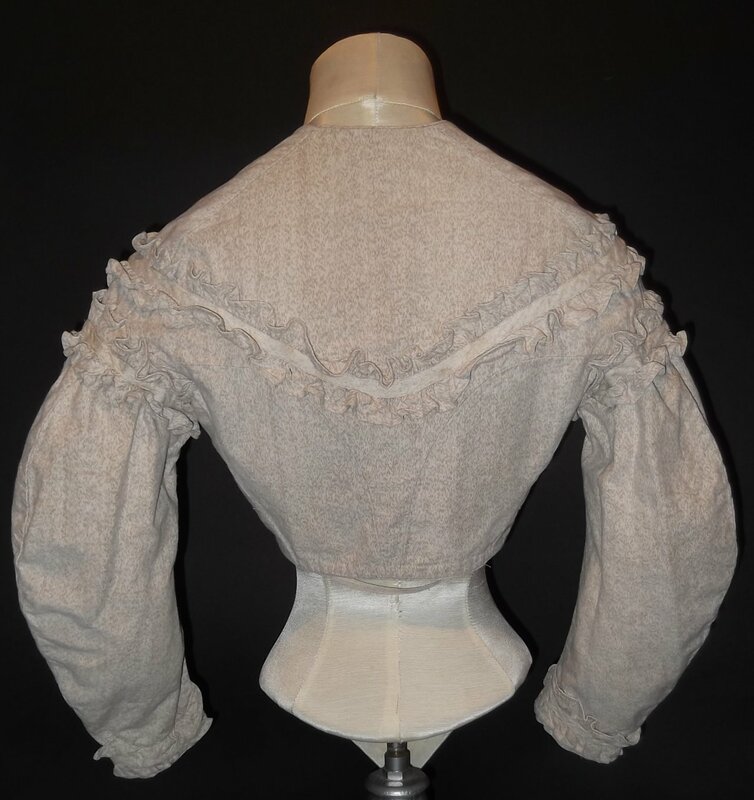 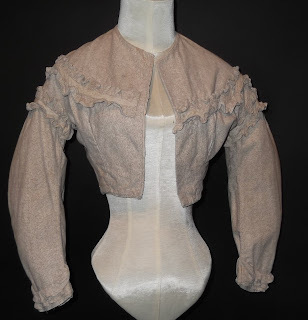 This bodice dates to the Civil War era and is fashioned of a textured cotton in rich sepia tones. There are no closures left to the front, new hooks are needed. Trimmed in self ruffling with matching braiding running through the center. 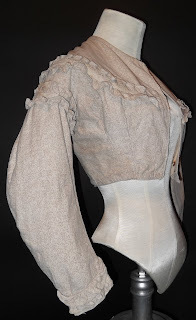 There are several faint age spots that are hard to note….In excellent wearable condition. 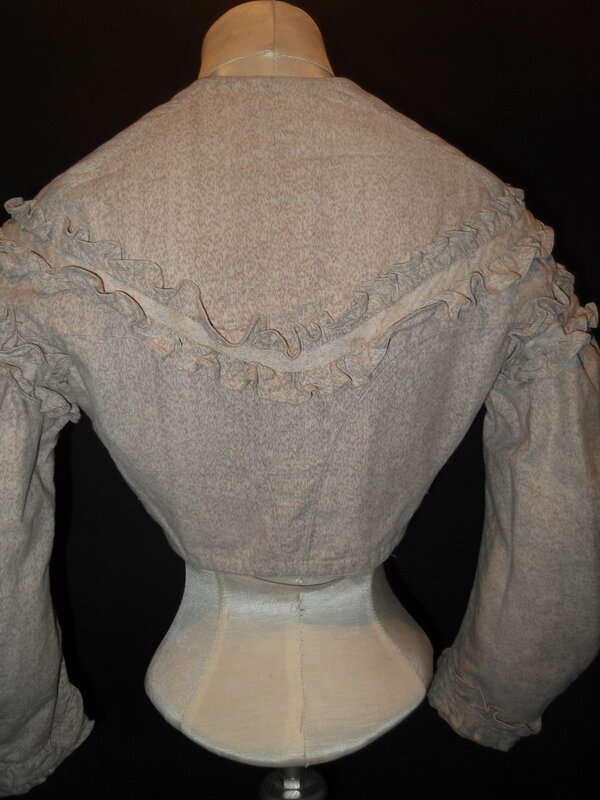 Measures 30 inches around the bust, 21 inches around the waist with 14 inches in its length. 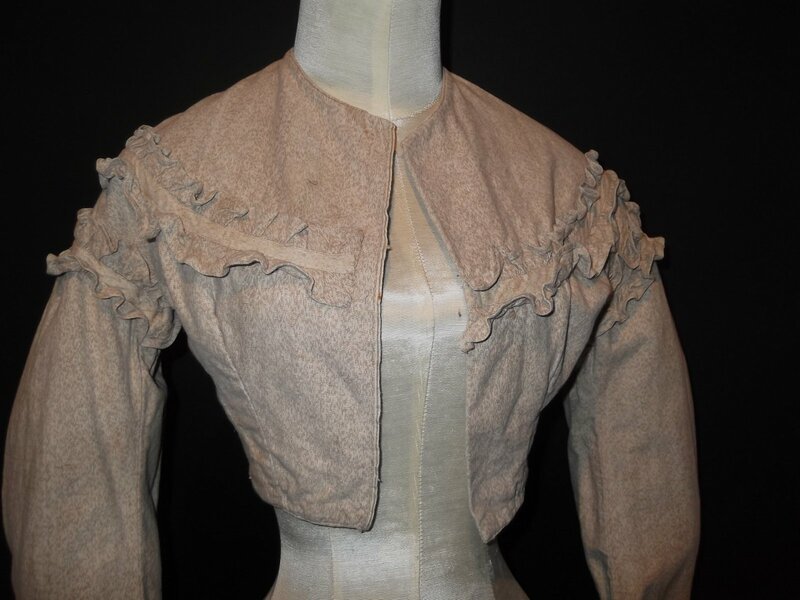 So, post Civil War era but 1860's. 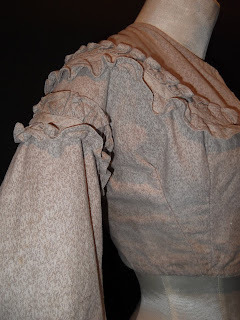 It also seems a hint on the small side so maybe a young miss bodice?